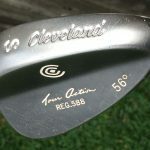 It struck me the other day that I haven’t discussed, in any type of detail, what clubs and balls I carry in my bag other than comparing the performance of my irons in my reviews of the PTx and Ft. Worth 15 irons from Ben Hogan. 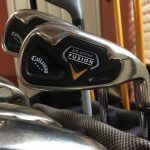 I’ve had my Callaway Fusion irons in my bag the longest out of my current equipment, which I purchased in 2007 I believe. 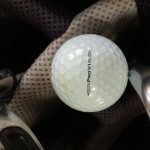 Before these, I played the original oversized titanium Big Berthas. I got pretty good with them and really enjoyed playing with them for about 10 years, give or take. The reason I switched, besides “shiny object syndrome”, is that the better I got, the less I liked looking at oversized heads. 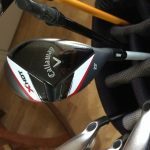 I saw my Fusions as a natural progression from a max game improvement iron to a game improvement iron and I Really trusted Callaway irons. It took a bit of tweaking to get the shafts correct. 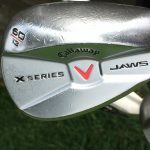 This set came with longer than normal shafts and they were also a regular flex, which is just not good for my swing. 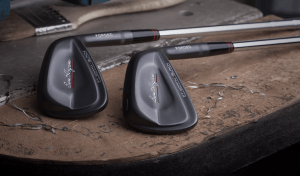 I got fitted with the True Temper x-100’s and have never looked back. 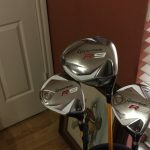 The Driver, 3-wood, and 5-wood were purchased in about 2010 and I’m pretty happy with them. 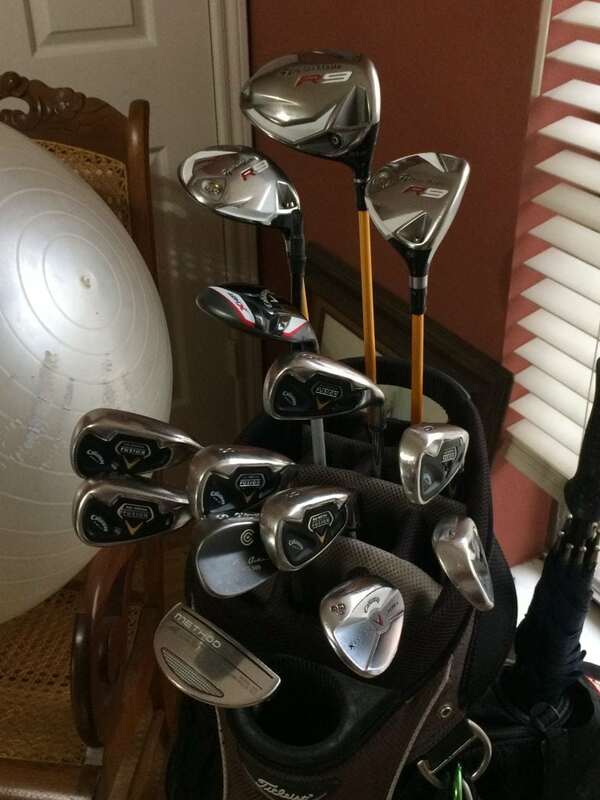 I got the sand wedge in 2009 or so, the lob wedge in about 2012, and the gap wedge about the same time. 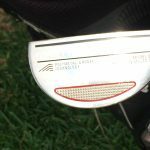 The putter was also purchased around 2010. It’s a bit of a blur. I’m always open to newer and better clubs, but it’s hard to justify sometimes when the game isn’t all that stellar from lack of play. 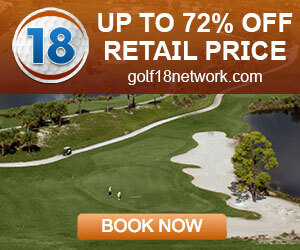 That, and I think these clubs remain awesome and can deliver any shot I need during a round. Here’s a video where I go through the whole bag!